A panel of local small business owners will share their contracting success strategies and field questions from the audience. Procurement resource specialists will present workshops on Federal Contracting & Marketing to Federal Agencies, a Federal Certifications and State Certifications & Marketing to State Agencies. New this year Speed Networking with Agencies, Large Corporations & Exhibitors, such as ConMed, City of Utica, Oneida County, U.S. Air Force Research Laboratory Information Directorate, Welch Allyn. The cost is $10.00 per person. Attendees will be treated to a continental breakfast and will have the opportunity to network with other small business owners, exhibitors and presenters. Have questions about Opening Doors to Government Contracting? Contact The Business Training Institute. Inc.
Carol Buczek owner of Tours by Design is the proud winner of the Trenton Area Chamber of Commerce 2015 Endowment award Carol was awarded a $1000 Grant which will allow her to update her website to be mobile friendly to reach a broader customer base. Register online to attend the #WISE2015 Symposium to save $15 on your registration fee! > TIME: 9:00 a.m. to 6:00 p.m.
attendance and boost your visibility on site! Join us April 1st for a Financial Wellness Sip-n-Learn. St. Patrick's Day Happy Hour and Open House. Chili, Chicken Riggies, Chips-n-Queso, Desserts, Beer and Wine are on the menu. A unique gathering on the 104th International Women's Day, March 8th in Saratoga Springs, NY. Check out our Events Page for more detail. in-depth learning about all major aspects of starting and running a small business. Extensive information will be provided on business financing and ownership, market research, marketing strategies, record keeping, cash flow, business operations and management. Participants will be expected to complete weekly exercises to complete a real-life business plan. This program is sponsored by the Women's Business Center of NYS. 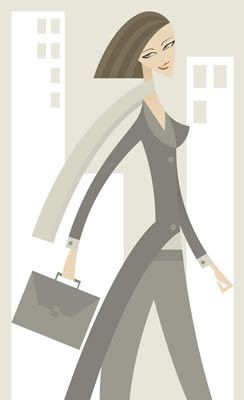 Women TIES 10th Anniversary Celebration - Mohawk Valley Women Entrepreneurs Invited to Celebrate! Women TIES invites Mohawk Valley women entrepreneurs and all our current and past members, women entrepreneurs who have attended our events and other female business owners in NYS to join us at our 10th Anniversary Celebration on March 3, 2015 in Syracuse. The event features keynote speaker Jill Tietjen, the new CEO of the National Women's Hall of Fame and Co-Author of "Her Story: A Timeline of Women Who Changed America." Come be inspired by the "her story" of women who have come before us and the women who continue to change America for the better - including current women entrepreneurs. Women TIES wants to celebrate this milestone with any woman who has crossed our path the past 10 years. Please make your reservation on the Women TIES website by March 1st. We look forward to seeing you on March 3rd to celebrate every woman's success in the business world. Cheers to females! Ladies - bring an ample supply of your business cards to the next meeting. We will be collecting and organizing everyone's cards so that they are available to all members. The cards will be used in our referral program. It's time to make room for your new records and files. As you close out 2014, don't use valuable space storing old records and files. Instead, send them to us - Store Scan Shred - where they will be securely stored and easily retrievable when you need them again. For additional information contact us at: www.StoreScanShred.com or at 315.371.0082.